Today Unicode officially released version 11.0 of the Unicode Standard and Twitter has added support for all 157 new emojis to the latest version of Twemoji. Twitter is typically one of the first companies to support new emoji releases and Twemoji 11.0 marks the fourth Twemoji release from Twitter in 2018, though the first major update with new emojis. Featuring 156 of the 157 new emoji recommended in Emoji 11.0, Twemoji 11.0 includes the much-requested 👨‍🦰 Red Haired Man and 👩‍🦰 Red Haired Woman. Twitter's other 2018 updates - Twemoji 2.5, Twemoji 2.6 and Twemoji 2.7 - each only featured design modifications in already existing emojis. Note the numbering of those previous updates. With Twemoji 11.0, Twitter has opted to synchronize its version numbering with that of the Unicode Standard. This echoes the change of title made to the provisionally titled Emoji 6.0 in October of last year, when it was renamed Emoji 11.0. But why only 156 of the 157 emojis featured in Emoji 11.0? Despite not being Recommended for General Interchange (RGI) until the release of Emoji 11.0, Twemoji has supported the 🏴‍☠️ Pirate Flag as a a ZWJ sequence of 🏴 Black Flag and ☠️ Skull and Crossbones since July 2016's Twemoji 2.1.2. This emoji has remained part of Twitter's emoji set and received no changes in this latest release. 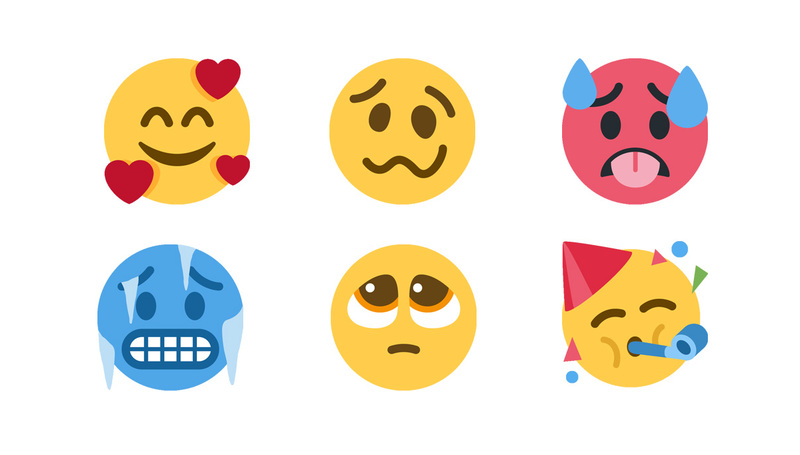 Emoji 11.0 features six new smiley face emojis which are all supported in Twemoji 11.0. As discussed by Twitter Design Lead Bryan Haggerty on a recent episode of Emoji Wrap podcast, the new 🥰 Smiling Face With 3 Hearts has the potential to be quite a popular addition, considering the popularity of its fellow heart-featuring 😍 Heart Eyes and 😘 Kissing faces. 🥳 Partying Face echoes the frequently-used 🎉 Party Popper, while 🥵 Hot Face and 🥶 Cold Face might also be popular in the wake of extreme weather. While assigned code points in Unicode 11.0, these four emoji components feature no graphical representation in Twemoji 11.0 - they exist purely to allow for ZWJ sequences shown above. While originally proposed as smileys, Emoji 11.0 features humanoid Superhero and Supervillain emojis. There are man and woman variants of both, as shown above. The base emojis that don't specify a gender (🦸 Superhero and 🦹 Supervillain ) respectively display as the 🦸‍♀️ Woman Superhero and 🦹‍♀️ Woman Supervillain within Twemoji 11.0. As yet, no major vendors display the base emoji for any human with a non-binary or gender-inclusive design - excluding the specific characters of child, adult, and older adult. All are rendered full-bodied except the 🦝 Raccoon, which only has its face displayed. The 🦞 Lobster has its the correct number of legs which was highlighted when Emojipedia's own sample image was reported as being "anatomically incorrect". There are two new emojis representing parts of the human body, 🦵 Leg and 🦶 Foot. Both support skin tones. Keeping with the theme of lower limbs, there are two new footwear emoji in Twemoji 11.0: 🥾 Hiking Boot and 🥿 Woman's Flat Shoe. There is also a now a 🦷 Tooth and a 🦴 Bone emoji. A series of new household items are featured within Twemoji 11.0. Most of these objects relate to either repair (e.g. 🧵 Thread and 🧷 Safety Pin) or cleanliness (e.g. 🧼 Soap and 🧽 Sponge). 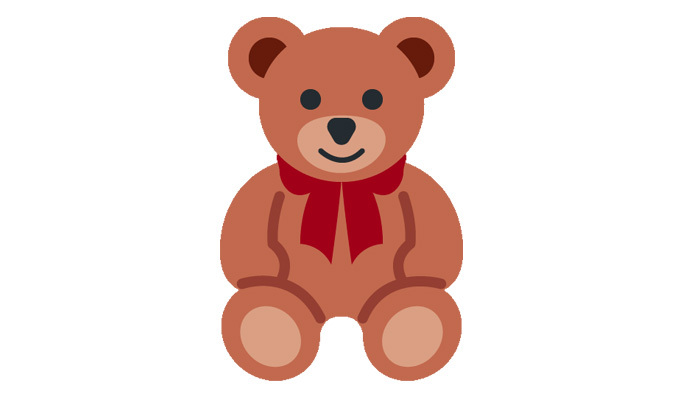 Also, the new 🧸 Teddy Bear emoji looks exceeding cute with it's large red neck ribbons. Two other new object emojis which may be found around households but would not generally be considered household items are 🧩 Jigsaw and 🧱 Bricks. The 🧨 Firecracker is a very popular pyrotechnic used in celebrations across the globe, but perhaps most famously as part of Chinese New Year. The 🧧 Red Gift Envelope is an object seen within in many Chinese or other East Asian and Southeast Asian traditions, where the red envelope is usually adorned with decorative gold words or patterns and will contain money as a gift. Meanwhile, the 🧿 Nazar Amulet is a token common in Middle Eastern and Mediterranean countries which is believed to protect the holder from the "evil eye". Echoing the previously discussed 🏴‍☠️ Pirate Flag, the new ♾ Infinity and ♟ Chess Pawn emoji have also previously existed as non-RGI sequences. This was not, however, within Twemoji but rather within Samsung's emoji design set. Both ♾ Infinity and ♟ Chess Pawn append a Variation Selector-16 character to specify emoji presentation to be used. Emoji 11.0 features four new sporting emoji. These include 🥍 Lacrosse, which is rendered as the racket and ball on Twemoji 11.0, as well as the 🥎 Softball and 🥏 Flying Disc. Lastly, let's look at the new 🛹 Skateboard emoji. Considering that Tony Hawk passed comment upon Emojipedia's original sample design and collaborated on its revision, did Twitter take his critiques on board when creating their own design? Perhaps, perhaps not. 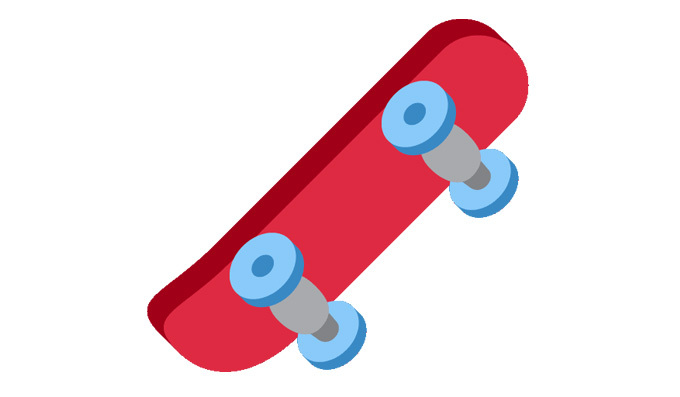 Twemoji has its own distinct design for the skateboard, and displays the it escalted in the middle of an ollie. Twemoji 11.0 is now available in Twitter's Open Source Twemoji Repository. New emoji support will be available for all users of the Twitter website, Twitter mobile site, and Tweetdeck in early June. Thanks to Twitter for Android's recent switch to Twemoji, all Android users Android 7.x and below should be able to see the new emojis shortly as well. Users of the iOS Twitter app will continue to see native emojis from Apple and will therefore have to wait for Emoji 11.0 support to come to iOS later in the year.